"Here's to the hearts that ache…" Oh my goodness. Lionsgate has unveiled the second official teaser trailer for Damien Chazelle's musical La La Land, and it's just as wonderful as the first one. 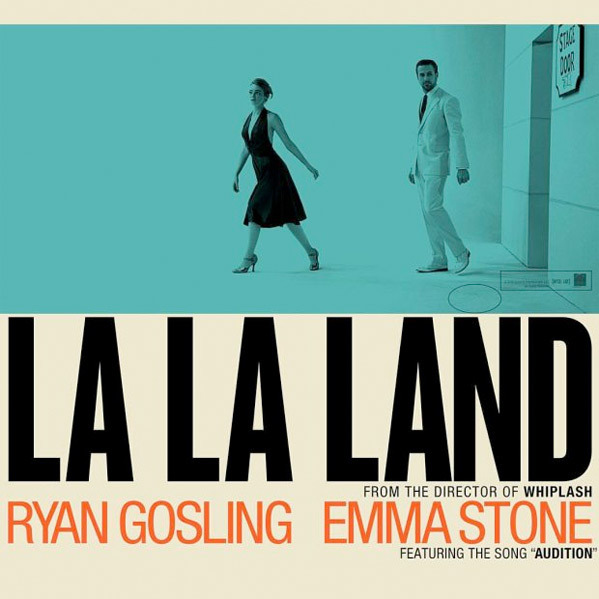 La La Land stars Emma Stone as an aspiring actress who falls for a jazz pianist, played by Ryan Gosling, while in the City of Angels, better known as Los Angeles. Like the first teaser, this trailer is set to one of the magnificent songs from the film, titled "Audition", and it will thankfully be available to download later this fall. The full cast includes J.K. Simmons, Finn Wittrock, Rosemarie DeWitt, Sonoya Mizuno, Hemky Madera, Josh Pence and John Legend. That scene in the planetarium looks like it's going to be so totally amazing. The song heard in the trailer, titled "Audition", will be available later this fall - here's the cover. You can also see the first teaser trailer for La La Land here, for even more footage from this. Mia (Emma Stone), an aspiring actress, serves lattes to movie stars in between auditions and Sebastian (Ryan Gosling), a jazz musician, scrapes by playing cocktail party gigs in dingy bars, but as success mounts they are faced with decisions that begin to fray the fragile fabric of their love affair, and the dreams they worked so hard to maintain in each other threaten to rip them apart. La La Land is written & directed by filmmaker Damien Chazelle, his second feature film following Whiplash, which received a Best Picture Oscar nomination and won three other Oscars. Lionsgate is planning to release Chazelle's La La Land in select theaters starting December 9th this year, expanding wide soon after. Who else can't wait? Two beautiful white people fall love and sing songs about how good life is...yes! do we now have 8 year olds writing articles? "musician, 'scraps' by playing cocktail party gigs" ... scrapes by, may be better "begin to 'frail' the fragile fabric" anything like fray the fabric Somebody actually got paid to write this crap? Does anybody proofread anymore, or are we just an auto correct society now? Enhance your calm John Spartan. perfectly calm here. Just really tired of lazy journalism these days. Used to be that folks took pride in what they wrote. I still prefer reading, over watching the news, or reviews, in a video box, oftentimes read by a person whose only qualification seems to be how good he/she looks in front of a camera. Just so you know, that part of the article with these typos in it is the "official" synopsis we've copied from the studio. That's why it's in italics. However, these are gratuitous errors and I've made corrections anyway. Thanks for pointing them out. I must say, the visuals are gorgeous. Kind of like if Paul Thomas Anderson made a musical. Whiplash was really good, so maybe this might finally be the movie that pushes me to give musicals a chance. (but then again, maybe nah) I'll wait for the reviews first.